* This person appears in these lineages more than once; details are only written once.People whose names are in parentheses indicate that these persons were not disciples, but studied under the master above them for a time. 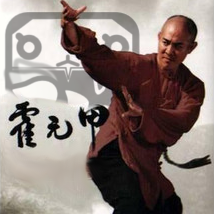 Names of martial arts after a person’s name are styles that the person learned before becoming a disciple of the master above. Styles after semicolons indicate martial arts learned after becoming a disciple. The information presented here is unverified and may have errors (In particular, the bajiquan and yongchunquan (wing chun) lineages may be problematic). Sometimes there is also conflicting information, where the most commonly believed lineage will be listed. If you believe that you have information that would clarify this chart, please e-mail me. This entry was posted on 10月8日, 4:27 PM and is filed under 武道/武術系. You can follow any responses to this entry through RSS 2.0. You can leave a response, or trackback from your own site.